There are no sub-regions at this level. Asian pear tree is loaded again and you can't possibly eat them all one at a time right? 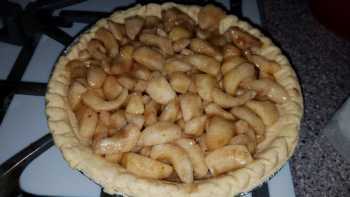 SO, MAKE PIE! It's that time of year and we can't just let them fall off the tree and rot! This time I am using a frozen pie crust with a crumb topping. And it's oh so good! 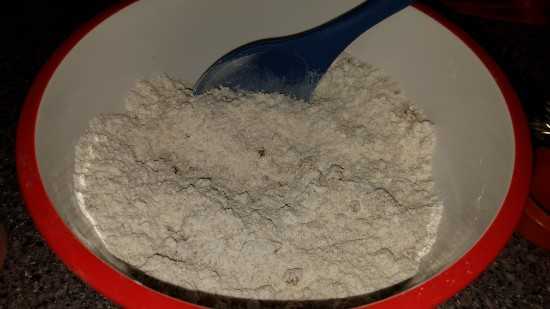 In a bowl, mix 1 1/2 cups flour, 3/4 cup light-brown sugar, 1/3 cup granulated sugar, and 1/4 teaspoon each salt and cinnamon. Cut 1 1/2 sticks chilled unsalted butter into small pieces. 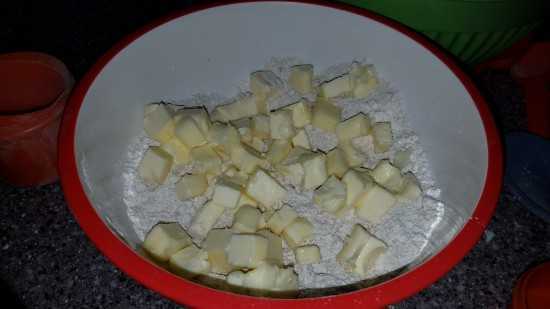 With your hands, work in butter pieces, until large clumps form. Freeze leftover mixture in plastic storage bags. 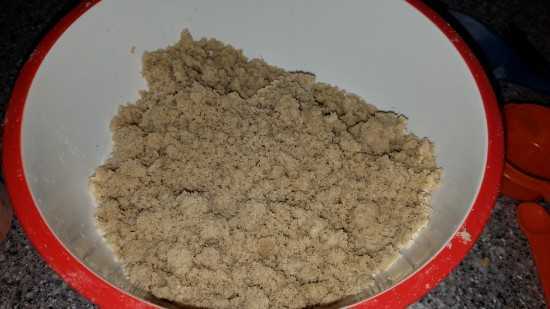 Place 1 frozen pie crust in the oven and bake 6 minutes and remove from oven and let cool a few minutes. 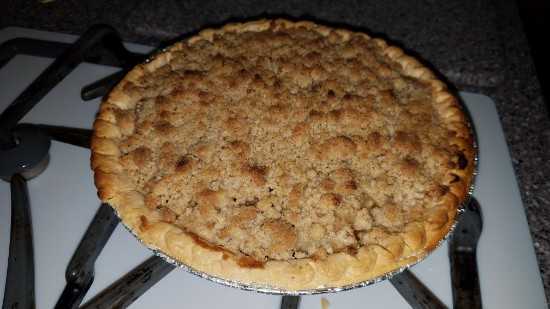 In a large bowl, gently mix all the filling ingredients and spoon into your pie crust. Cover with foil (a sheet laid over the top) and bake 40 minutes. The foil just keeps your crumbs from burning. 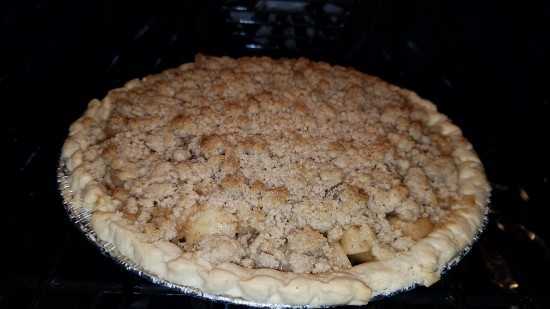 Take the foil off and bake about 5 more minutes to let the crumbs brown. Cool on a cooling rack for at least 2 hours before serving. NOTE: You will have extra crumbs that you can freeze and use later as a topping for ice cream or another pie :) Just toast the crumb topping on a baking sheet in a 350-degree oven for approximately15 minutes, and sprinkle over ice cream or fruit. Did you make it? Review it! View or add your comments on this recipe below. You can choose to have it show on your Facebook wall or just on this page. The Man Kitchen started years ago when I was divorced and raising my 2 teenage sons and we had a roommate with his son all under the same roof. As you could imagine 5 men under one roof having to cook! No worries! We got this! And as it turned out we created some great dinners :-) We especially enjoyed our deep fat fry night LOL! Anyway, thank you for viewing our recipes. Copyright © 2019 Man Kitchen Recipes. All Rights Reserved.